One of my favorite products to break in the early collecting season is O-Pee-Chee. These cards look really cool, and the product gives collectors a good number of fun insert cards in every blaster. It's definitely a throw-back sort of product. The cards are actually on old cardboard stock - which is a a rarity nowadays! Being an early release in the product cycle, OPC generally doesn't have the big rookie card draw as later sets in the season have. I do, however, remember this year as a year that could contain some good rookie names. I'll just have to see if anyone good comes out. It really depends if the rookie holdovers from the previous year were any good. 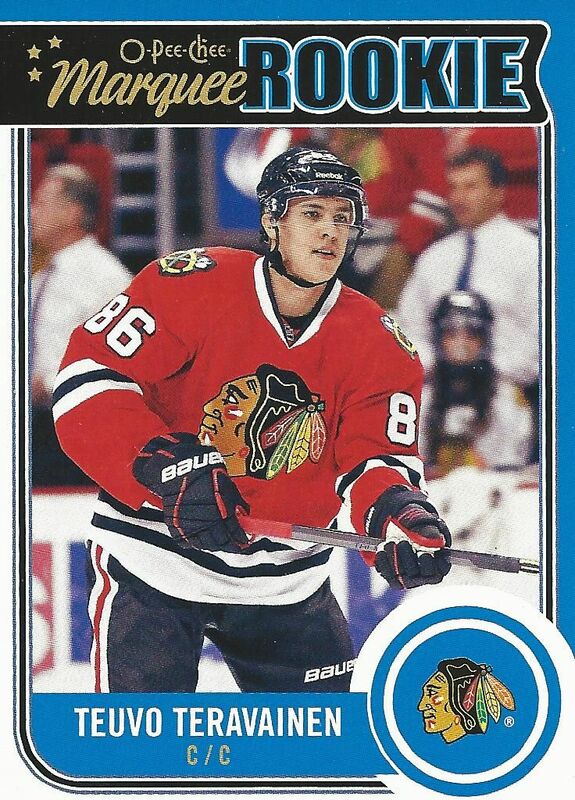 Each year there are rookies that skate in an NHL too late for card companies to give them cards. These players usually get cards the following year. I don't think I'm going to find a hit in this blaster. I'm mainly looking forward to seeing all of the inserts and parallel cards in the box. It's possible to find anything from foil parallels to sticker cards. Usually the designs used are a lot of fun and remind me of a more innocent time in collecting. I really love how many packs you get to break when opening up a blaster of OPC. There are 14 packs per blaster. If you love the feeling of ripping open packs then OPC is product for you! It gives you a great experience that lasts a bit longer than the standard break. 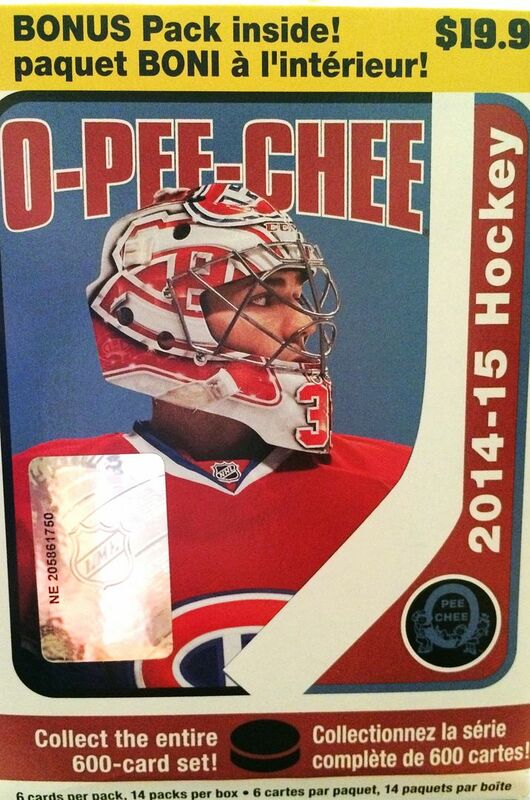 Upper Deck Series 1 and 2 come close, but OPC takes the cake I think in terms of most packs within a blaster box. Just as I thought, there wasn't a hit in this blaster, but I did get a lot of colorful and fun cards to add to my collection. There are a ton of retro cards. You usually find one per pack. The set is very large, so collecting everything in it is a huge challenge. In terms of getting good players, I definitely got cards I liked out of here. In fact, it surprised me a little when I pulled out a couple of rookies that were very popular during the 14/15 collecting season. I guess this year's OPC has some of the best rookies from that year. You guys know I love the Sharks (and am still sad they got bounced from the playoffs this year)! 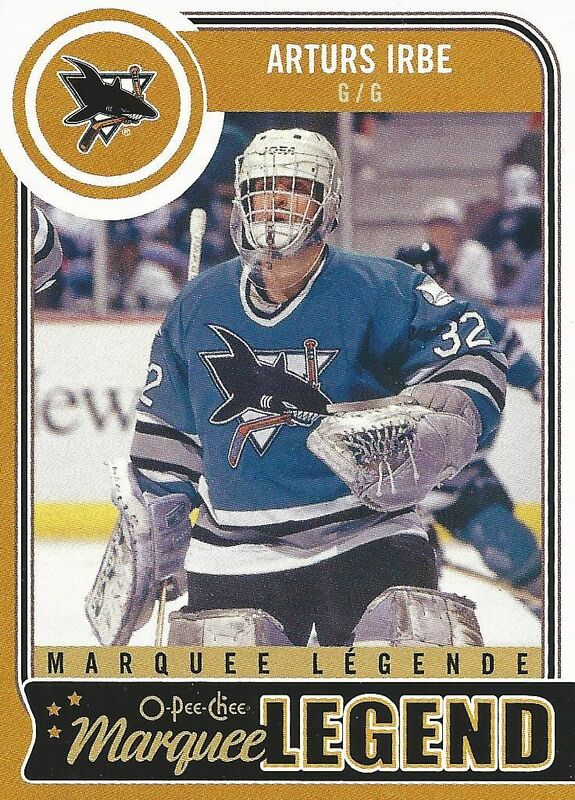 Arturs Irbe is one of my favorite former sharks for many, many reasons. I love that UD gave him some love. I especially like the old Sharks logo they used on this card. Teravainen is one of the top rookies from the 14/15 season. He was definitely on collectors want-lists and was a big draw. I have to admit I was surprised when I pulled his card out of the pack. I had forgotten he was an early rookie to be found that season. Here's another hot rookie from the 14/15 season! 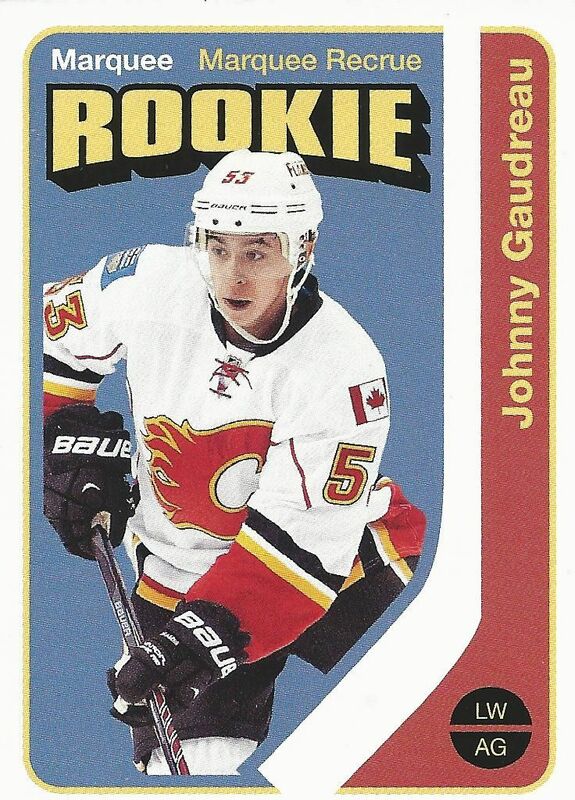 Actually, looking back at an old OPC break, I actually pulled this same card out - the retro Marquee Rookie of Johnny Gaudreau. Even though this is a double for me, I think it's an awesome card to find! The value in OPC really comes in the enjoyment of the cards and the attempt to collect the set. I think OPC is a great option for collectors just getting in to the hobby or for collectors trying for a pretty tough set building challenge. For about ten bucks nowadays, this year's OPC is a fun buy and something I'd definitely get again to enjoy. The sports cards of this type will please any collector. They contain some interesting and funny pictures that you will certainly like one by one.